Run “select * from SYS.CONFIGURATIONS where name like ‘show%advanced%’” to see if show advanced options is already enabled? 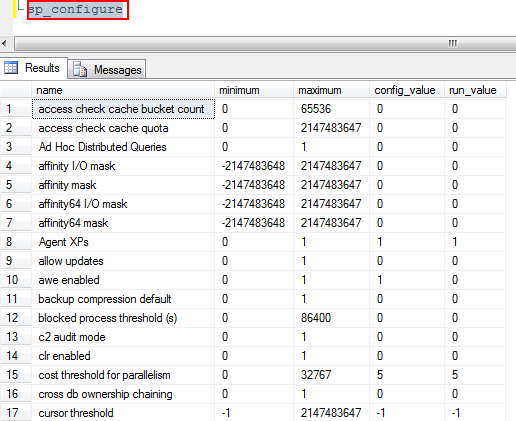 Running the procedure sp_configure without parameters gives a result set which contains the column run_value. The difference between Config_Value and run_value is that config_value is the value that the configration name is configured, run_value is the value that the instance is currently using. 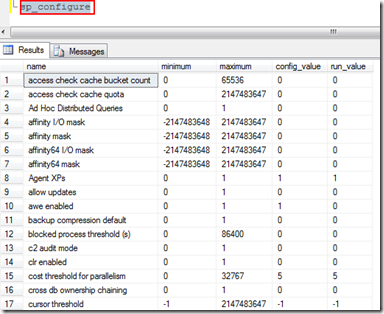 config_value – What value is currently configured? run_value – What value is currently running?